As I was digging in the yard this week, a thought came to me about a widespread contemporary phenomenon among Christians in the West—the nascence and spread of rabbinical Christianity. By rabbinical Christianity, I do not mean Christianity dominated by teachers—though one might say that is another woeful current fad—but rather one that sees Christian morality in the same way that rabbinical Jews see the Mosaic law. According to most currents of rabbinical Judaism, the Mosaic law only places obligations on Jews. The heathen gentiles have no such requirements. Certain rabbinical traditions hold that God’s universal moral law—applicable to all people—is contained in the Noahide law, which is far less demanding. Christians altered this framework as they developed their understanding of natural law from Hebraic and Greco-Roman philosophy and law. Doctors of the Church taught that men may know the natural law according to reason, while the moral perfection of love is revealed only through and by Christ. Natural law is applicable to all people as they are—like the Noahide law, while the vocation to become truly Christlike is for all people, as well, though this universal call to holiness does not come naturally. I am not completely comfortable with the clean demarcations of reason and revelation or of nature and grace, but I think that the categories point to some basic realities. I conjecture that rabbinical Christianity has resulted from Christians’ attempting to reconcile their moral tradition with liberal society. According to the previous Western tradition, human beings may know the human good both from reason and from revelation, while liberalism denies that there is any human good or, if there is, that it is knowable. Thus, each human will may decide its own good. These two positions cannot coexist peacefully in the same soul. For traditionalists, we simply reject liberalism as wrong. Accommodationist Christians who have accepted the transformation of Western civilization, however, must find a way to live with their cognitive dissonance. For man is a rational animal, and he must try to rationalize his contradictions. Therefore, liberalized Christians reserve natural law for themselves like the old Mosaic law, while they follow the rest of society in acknowledging any further demands upon human beings. The Frankfort School is their Noah. Jesus came to save the world, and he needed our help. That’s why we were there for him every step of the way. When he was in need, we prayed with him. When he wept, we wept with him (and told him to toughen up!). When he fell, we carried his cross. The gates of Hell could not prevent us from seeing his mission through! While we assured the women that everything would turn out all right, they couldn’t handle the crucifixion. Squeamish and afraid, they ran to their homes screaming and hid behind locked doors. Never doubting that Jesus would rise on the third day, Peter announced to the Centurion, “We’ll bury him and be back on Sunday. Now go tell Pilate to put some of your ‘elite’ Roman guards at the tomb to see if you can prevent him from rising from the dead!” We all laughed and began to dream about Sunday. That Sunday morning we marched right down to the tomb and tossed those elite Roman guards aside. Then the stone (that took eleven us to roll into place) rolled away by itself. A glowing Jesus emerged from tomb, and said, “I knew you’d come! My mission is accomplished.” He praised Peter for his brave leadership and congratulated us on our great faith. Then we went home and comforted the trembling women. Turek’s article and Auster and his readers’ comments will surely bring a smile to your face. The AHC seeks to help preserve the corporate identity and heritage of the People Israel within the Church. By gathering the Jews who have entered the Church, we hope to help them rekindle and live out their collective vocation, giving corporate witness to Jesus, the Messiah of Israel and His Church. The problem of Jewish identity may briefly be described as follows. When a Jew enters the Church, he enters into a community and culture that has become sociologically, for want of a better word, Gentile. The term Gentile refers to the non-Israelite peoples of the world. Consequently, the Jewish convert is separated from his people, his culture and his heritage. Then, through assimilation to the prevailing culture, his offspring are no longer considered part of the People Israel. Most importantly, the corporate vocation given to the People Israel can no longer be fulfilled, either in the convert or in his offspring. This is the case because, since the 3rd or 4th century, the People Israel have not had a corporate presence in the Church. Thus, in the Jews that enter the Church, the People terminate. What do you mean, the people terminate? The basic way that Jews preserve themselves and their heritage is through their offspring. The Jewish community recognizes the offspring as a Jew and, therefore, a member of the People Israel. Through the community, the individual is given his or her identity as a member of that community. However, when a Jew enters the Church and marries, there is no community recognition of the offspring as members of the People Israel. Thus, the offspring, in effect, become Gentile. And even if the family attempts to preserve some aspects of their heritage, by the second or third generation, those aspects have disappeared and the offspring have completely lost any sense of their identity as Israelites. So, even if the convert continues to describe himself in terms of his Jewish origins, the preservation of the People through his offspring comes to a halt. Thus, my statement that ‘the People terminate’. That explains why, when I was interviewing a Rabbi about interfaith marriage, he stated that every Jew that converts or marries and does not raise their children Jewish - that is like another Holocaust. I was startled by the comment. Is this what he was referring to? Yes. The way it’s communicated doesn’t add clarity. But, the Rabbi uses the term holocaust in the sense of how many Jews are lost. The People Israel have a God-given vocation in this world. They, therefore, also have an obligation to preserve themselves and their vocation. Two caveats. First, I would say that while some Jews have an intense negative reaction against Jews who have become Christians, not all do. Second, I, as a Jew who became a Christian, want to assure Jewish readers, who may be concerned on this point, that I have no design to use this site to encourage the conversion of Jews to Christianity. In this area, I am truly a respecter of individuality and of the uniqueness of the Jewish people. Under Judaism, the believers come into relationship with God by collectively following the Jewish law. Under Christianity, the believers comes into relationship with God by individually following Jesus Christ. Judaism and Christianity are two different religions, two different approaches to God. They are not interchangeable. If the Jews had become Christians, they would have ceased to exist as Jews. Since they were the recipients and legatees of the first revelation of the true God, which they naturally valued above all else, it would have been unreasonable to expect them to give that up, to give up the Jewish dispensation, to give up their very identity and existence as a people formed around that dispensation, in order to become followers of Jesus. Of course some Jews, who were called, did follow Jesus. But the majority didn’t. While I believe that the Christian revelation is higher and truer and more complete than the Jewish revelation, the Jewish revelation, as the predecessor of the Christian revelation and the very condition of its existence, should be respected. I do not believe that Providence drives history in an absolute sense. The world is too wicked, and there are far too many nobler and better roads untraveled. God works with us and through us, but it appears as if he refuses to play chess with men as his pawns. That said, I often wonder why something like a “Mosaic rite” never came to pass. I empathize with your view of rabbinical Judaism. It would be a loss to see its wisdom perish. Yet, Christ did not come to destroy the law but to fulfill it. [LA replies: This is one of Jesus’ statements in which he is speaking his own language, not ordinary language. He may have meant that he was fulfilling the Jewish law in the true, spiritual sense, but from the ordinary point of view of the Jews, he certainly was coming to destroy it. There is no question that his teachings meant the end of the Jewish religion, for example, of the laws governing the Sabbath. So let’s drop the Kumbaya and frankly admit that there was an either-or situation here.] I wondered why you reacted so negatively when Ann Coulter had her episode with Donny Deutsch [covered here]. Perhaps, your opinion about the everlastingness of the covenant played a part. However, I do not see why there could not be a rabbinical expression of Christianity for the descendents of Jacob. It appears that such was the early Church in Palestine and among the diaspora communities throughout the empire. Had more Jews converted, then perhaps something like Mosaic law Christians would have survived. As it was, Jewish Christians were absorbed into the general mass of Christians, the vast majority of which converted from the nations. I certainly do not know what is correct when it comes to the relationship / extension / fulfillment of God’s covenant(s) with man. Yet, it seems reasonable to think that the Mosaic law, and the special way of life that developed among the Jews, does not preclude Christianity. It was the seed bed of the apostolic mission. I see no reason why it needed to end. I suspect that thoughts to the contrary demonstrate a spectacular success for hell’s strategic planning. P.S. Thank you for your post on Saint Mark’s gospel. I find it odd that few people comment on the humor in the scripture. The reaction of the disciples to Jesus’ comment about having been touched is very funny. Like the boy who fell asleep and then fell out of the window during Paul’s preaching—no one seems to notice that they’re funny. Our goal is to preserve the identity and heritage of Israelites within the Catholic Church, through the establishment of a Hebrew Catholic Community juridically approved by the Holy See. By identity, I mean their election (calling, vocation). The election is a choice of God that applies to the descendants of Abraham, Isaac and Jacob, that is, to the People Israel of the flesh. It is collective and it is eternal. Today, the Jew who enters the Church is unable to fulfill his vocation as a member of the People. Instead, he enters the Church and assimilates to the prevailing culture. Isn’t this true of all cultures or is that not a fair question? There are similarities. You can look at converts from other peoples, cultures and religions and, at times, see their own people turn against them because they feel like the convert has betrayed them. In these cases, we are dealing with human nature. In the case of the People Israel, however, the issue is of a people created, formed, and preserved by God, a people still intimately connected to the ongoing drama of salvation history. For example, the Catechism states that Jesus will not return until all Israel recognizes Him. Thus, it appears that there is a connection between that part of the People Israel we identify as Jews and the second coming of Jesus. Yet, how will His people recognize Him if they are not given the opportunity to consider the Gospel? And, since the program of the Church today, with respect to the Jews, is one of dialogue, not evangelization, how will the opportunity to consider the Gospel arise? I believe the dialogue is important and good because of the history of Catholic Jewish relations. Healing, respect, trust, honest communications, learning about the other, and shared efforts in the social arena are all necessary and important. Yet, the dialogue has its problems. One problem arises from the efforts of some Catholics within the dialogue, as is also the case in other Catholic disciplines, to re-interpret Scripture and Tradition to the detriment of the Catholic Faith. Thus, in attempting to deal with issues that have negatively and unjustly affected the Jews, they are betraying the Catholic Faith. What do you mean? Who is betraying the Catholic Faith? Let me give an example outside of the dialogue which takes an extreme form: the Jesus seminar. Here, theologians vote on whether passages really reflect the words of Jesus or not. When one looks at the results of their votes, one finds that the New Testament has completely lost its character as the inspired Word of God. Others have questioned or challenged the truths of the virgin birth, the resurrection of our Lord, the miracles of the loaves, and so forth. I could go on. Within the dialogue, you will find the aberrant notion that there are two parallel paths to salvation: one for the Jews, which is Rabbinical Judaism, and one for the Gentiles, which is Christianity. Of course, one may ask: How then do we explain that the Church was formed by Jews? that Jesus, Mary, the apostles and almost all the early believers were Jews? Overall, however, the dialogue is necessary, important, and producing good fruit. Returning to your original question about the goals of the AHC: I already mentioned our primary aim that is focused on preserving the People Israel within the Church. With the establishment of a Hebrew Catholic Community, the other major aim will begin to develop, that is, restoring the heritage of Israel to the life of the Church. For 3,500 years, God has formed the People Israel. There is much in their literature, their culture, and in their spiritual and moral disciplines that will edify Catholics. God has given them certain gifts and called them, as a Servant People, to be a blessing to the nations. As a People living out their vocation within the Church, I believe they will be a blessing to the life and mission of the Church, and to their brethren outside the Church, the Jewish people. I do not yet know what ecclesiastical format the Hebrew Catholic Community will take. There is much work that has to be done by theologians and those involved with canon law. Scripture states that “for everything there is a season and a time for every matter under heaven.” The AHC makes the case that the time is at hand to restore the People Israel, as a People, to the life of the Church. So in Acts, where they discuss the problem of Gentiles entering the Church, the issue was do Gentiles need to become Jews before they can become Christian. What you are saying is that it is reversed? Now the question is can you be a Jew and become Christian? In Acts, the Church was made up primarily of Jews. Through observance of the Torah, the People Israel had been formed by God to be a holy people, separated from the pagan world surrounding them. The Mosaic laws not only formed them, but it preserved them as a people. In the New Covenant, where the Gentiles were being grafted onto the People Israel through baptism, the following dilemma faced the Jews: How were they to retain their identity if they now no longer had to observe all of the Mosaic laws? For example, the laws regarding ritual purity (such as the dietary laws), had helped keep them a distinct people. But, in the new dispensation, Jews began to eat with Gentiles. It became apparent that their distinctiveness could no longer be preserved through these laws. And in those early days, while the understanding of what Jesus had taught was developing, you can read in the New Testament where some of the early Jewish followers of Jesus continued to observe the Torah. In fact, this situation continued through the next two or three centuries, while the People Israel maintained a corporate presence in the early Church. But the reversal of the situation in Acts is not the only reversal we are witnessing. 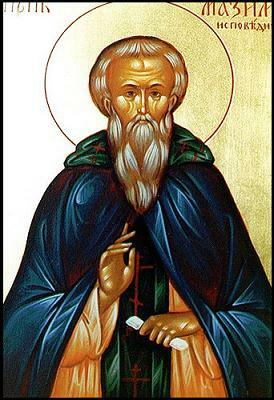 St. Paul, speaking to the Gentiles, taught that they, the Gentiles, had received mercy because of the failure of the majority of the Jews to believe in Jesus. But a time would come when the Gentiles, who had the faith, would lose it. And, from their failure, the Jews would again receive mercy. And with mercy, all Israel would be saved, bringing about the return to faith of the apostate Gentiles. I believe we have entered that phase of salvation history. In the New Jerusalem, the heavenly city, there are still distinct nations, and kings of nations, and these are the glories of humanity which are brought before the throne of God, and there transfigured in the light of Christ. Mankind, following the end of the world, is still providentially constituted of separate nations, which give it its character and distinctiveness, even as, for example, our earth is constituted of separate continents, islands, mountain ranges, and valleys, which give it its shape and its meaning. The physical earth is not a homogenous mass consisting of nothing but “equal” individual particles, and neither, in the biblical view, is mankind. But before faith came, we were kept under the law, shut up unto the faith which should afterwards be revealed. Wherefore the law was our schoolmaster to bring us unto Christ, that we might be justified by faith. But after that faith is come, we are no longer under a schoolmaster. For ye are all the children of God by faith in Christ Jesus. For as many of you as have been baptized into Christ have put on Christ. There is neither Jew nor Greek, there is neither bond nor free, there is neither male nor female: for ye are all one in Christ Jesus. And if ye be Christ’s, then are ye Abraham’s seed, and heirs according to the promise. As human sexuality is part of God’s plan, so are the nations. Yet, there is a more fundamental unity through Christ, who redeems and transfigures us into something even higher than the apex of creation. As such, Moss’ basic categorization of men into Hebrews and the nations—that is, everyone else—appears to go against two thousand years of Christian practice. If we are to dismiss heretical revisionism that has delusions of recovering the “authentic gospel” from “Pauline distortions,” we must take the tradition seriously. I am open to exploring roads not traveled, as mentioned above, and I would welcome a development of something like my imagined Mosaic rite, but the primary distinction among men for Christians is between those who have answered the invitation to come to the feast and those who have not yet answered. If certain merrymakers wear distinctive hats and eat special foods, then there is room at the banquet for such differences. Moreover, we mortals do not know who will be kicked out of the party for having come unprepared, and we do not know who may be on the way to the festivities though they have not yet arrived. So, we ought to beware of triumphalism due to our presence at the festival. The number of Russian immigrants continues to rise in Israel, and many of the immigrants have a connection to the Russian Church. They immigrate as Jews under the Law of Return, but many are converts to the Church or have relatives in the Church. This growing community, with priests like Fr. Aleksandr, may develop into the roots of a future Hebrew Orthodox Christian culture.